Home / Domotica blog - alle tips & info over domotica! / MERGER OF ONE SMART CONTROL AND DIGITALSTROM TO BECOME A FORMIDABLE PLAYER IN THE RAPIDLY GROWING HOME AUTOMATION MARKET. MERGER OF ONE SMART CONTROL AND DIGITALSTROM TO BECOME A FORMIDABLE PLAYER IN THE RAPIDLY GROWING HOME AUTOMATION MARKET. Mechelen and Zurich, 27 September ’18 – The merger of the Belgian firm ONE Smart Control with the Swiss-German form digitalSTROM will strengthen the position of powerline technology in home automation on the European market. Not only are the 2 companies geographically complementary with the markets in which they operate, they also complement each other seamlessly in terms of their market approach and product range. Since being founded in 2013, ONE Smart Control has already worked with various hardware components containing digitalSTROM technology. Their unique feature is that home automation is made possible without the need for additional wiring in the house. ONE Smart Control developed a full-service smart home package that is not only simple to install, but also easy to use. With this merger, the cooperation between the two companies has now entered a new phase. “This merger brings together 2 innovative companies in the home automation market. They each offer users unique benefits and tremendous potential for the future. Together, we are stronger, and can achieve this growth capacity as an important player in the world of home automation”. The existing services of digitalSTROM and ONE Smart Control complement each other perfectly. As such, the merger is the perfect starting point for the further development of a complete, innovative, reliable and cost-effective product range. An attractive added value for the customers of both companies. “Our solutions have significant advantages for both project developers and homeowners. This aspect is unique in our industry. We take full responsibility, from the concept phase up to the service contract. In the near future, we will continue to focus on making it even easier to install, commission and keep the installation up-to-date. This is all extremely important in project development on a large scale. We are very ambitious and the market is ready for it. We will therefore continue optimising our market approach, our product range and our organisation”. 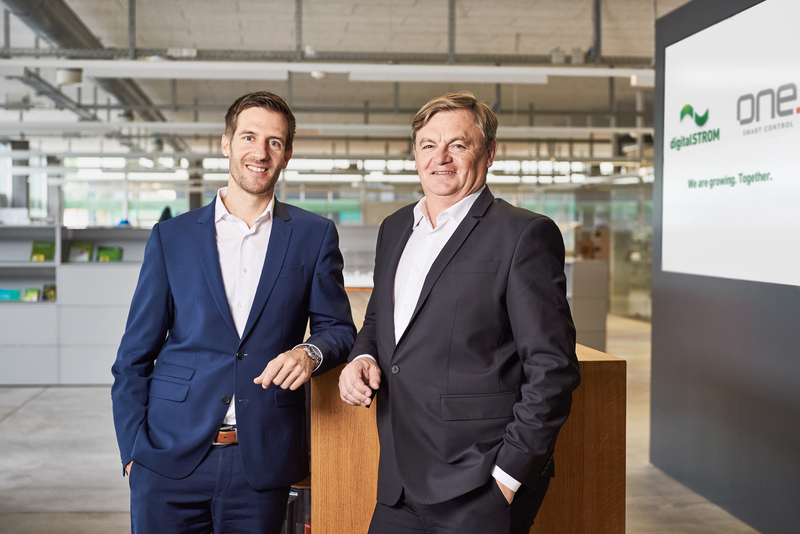 The new company will be headed by Adrian Obrist and Bert De Haes, and will further strengthen its market position in Switzerland, Belgium, Germany, Denmark, Finland, the Netherlands, Poland, Turkey and the MEA region.